Bail Bonds Oahu: When Does a Bondsman Use a Bounty Hunter? 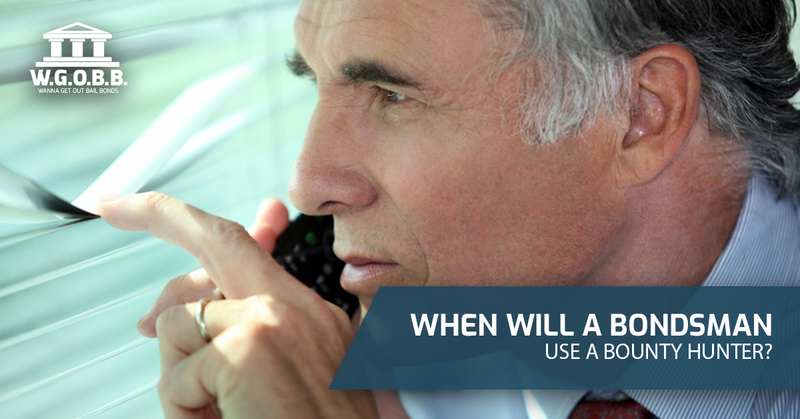 When Will a Bondsman Use a Bounty Hunter? Are a bondsman and a bounty hunter the same thing? If you’re not familiar with how the industry works, you might think so — and that’s okay! At the end of the day, you’re not an expert on how all of this works, and that makes sense. After all, why should you know about the inner workings of an industry that you don’t really have to deal with on a regular basis? To put it simply, a bondsman and a bounty hunter are not the same thing. Although their responsibilities might occasionally overlap, they have two distinct jobs. For most people out there, the things they know about the bail bond industry are the things they’ve seen in movies and on television. Is life really as exciting as it seems to be on the reality shows about our profession? To tell you the truth, the portrayal on reality television isn’t particularly realistic. Nevertheless, in today’s post, we’ll be taking a look at the question posed in the title of today’s blog — when will a bondsman use a bounty hunter? Keep reading to learn more. Essentially, a bail bondsman is someone that you can contact if your loved one has been arrested and is eligible for bail. When you don’t have the full amount of money required to bail that person out, you’ll work with a bond agency. The people you’re in contact with at the agency will help to facilitate your loved one’s release by speaking with the employees at the jail and putting up a portion of the bail amount. What it boils down to is this: when you can’t afford the entire amount of bail, you pay a fee to a bondsman (which is generally around 10%), and he or she pays the full amount to get your loved one out of jail. From there, your loved one will have to attend court dates and you will likely be in touch with the bondsman regularly. To put it simply, a bounty hunter is someone that a bail bondsman might employ if a person skips bail. In other words, if a person is working with a bondsman and he or she doesn’t show up to a court date, the bond agency might enlist the help of a bounty hunter to track this person down. Bounty hunters excel at finding people who don’t want to be found, and they’ll work with the bond agency in order to figure out what has happened. In short, if a person shows up to court, they will never even speak with a bounty hunter. At Wanna Get Out Bail Bonds, our biggest mission is to provide people with answers to common questions. We understand that there is an air of unfamiliarity with our industry that has been fostered for too long, and we want each and every one of our clients to know that transparency is our top priority. Be sure to take a look at our list of frequently asked questions for our responses to the most common questions, or check out our blog archive page where we go further in-depth about questions that aren’t quite as common, but that can still offer you plenty of insight. As you can probably imagine, our blogs take a deeper dive because we have the space to fully explore a topic whereas our FAQ page is short and sweet to provide people with the answers they need immediately. When you need answers — or perhaps most important, when you need to get your loved one out of jail quickly — look no further. Our team is dedicated to providing each and every one of our clients with personalized service that suits their specific needs. No matter the time of day or night, no matter the situation, we’ll be there to offer our expert assistance. You deserve to have someone you can trust during a difficult time, and that’s exactly what we offer. Contact us today to get the help you need, and rest assured that WGOBB will go above and beyond to take great care of you. We look forward to hearing from you.